Mary Jane Watson (Sometimes Watson-Parker), is arguably the most important supporting character in the Amazing Spider-Man. Her history is spread out across decades of issues, as she weaves in and out of of Peter Parker’s life, until their wedding, where she maintains a more stable appearance after that. The following is a list of some of the most important issues concerning Mary Jane, which would make for an interesting read. Read along with us on this Mary Jane Watson comic book Timeline. The first full Mary Jane Watson comic book appearance, as well as her first date with Peter Parker, is in the following issue of Amazing Spider-Man #43. Peter Parker eventually gravitates towards Gwen Stacy (the character Peter was meant to be with, according to original writer and creator Stan Lee). 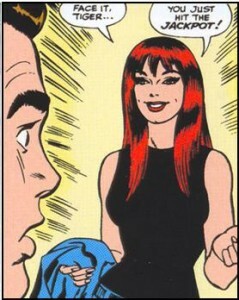 Mary Jane stays in Peter’s social circle and eventually dates Harry Osborn, though she continues to keep an eye on peter. She continues to display her “wild” side, which is perfectly demonstrated in Amazing Spider-Man #59, where Mary Jane gets a job dancing at a new club which becomes the source of the action for the next two issues. Mary Jane lets Harry know she’s “nobody’s girl”, which in part leads him into a drug problem in Amazing Spider-Man #97. 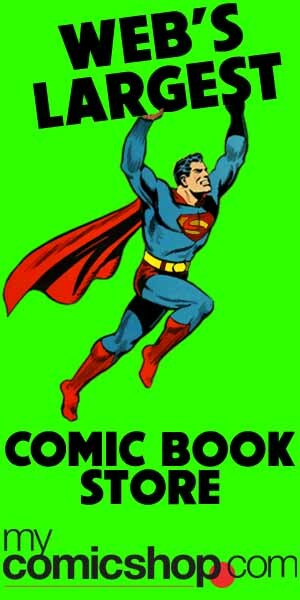 In this classic trilogy of issues beggining in #96, we find the first issues not approved by the Comic Code Authority. All in all, some more classic Mary Jane Watson comic book attitude. Following Gwen Stacy’s death, Mary Jane bucks her superficial label and decides to face reality and console Peter after his girlfriend/her friend’s death. The seeds of Peter and MJ’s relationship are truly planted in this issue of Amazing Spider-Man #122. In a scene that could and should be reproduced on film, Peter and MJ realize their love for one another as they kiss before he leaves on a plane to Europe in Amazing Spider-Man #143. Peter eventually proposes to Mary Jane in Amazing Spider-Man #182. She rejects his proposal, using her “not wanting to get pinned down” as an excuse in the essential Mary Jane Watson comic issues of Amazing Spider-Man #183. They officially break up in Spider-Man #193. Mary Jane returns to New York from Florida in Amazing Spider-Man #242 (She had left in Amazing Spider-Man #201 after their break-up). Here return is feature fully in Amazing Spider-Man #243. At this point, Peter is still in somewhat of a relationship with the Black Cat. 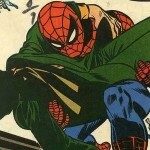 Mary Jane reveals to Peter, following a hard-to-hide battle with the Puma in his apartment with MJ on the other side of the door, that she knows and has known for a while that he is Spider-Man. 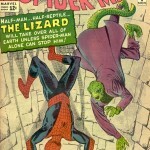 A confrontation that makes Amazing Spider-Man #257 an essential Mary Watson comic. No too far down the Mary Jane Watson chronology, she reveals to Peter her past in relation to her family in Amazing Spider-Man #259. This issue the is a must have Mary Jane Watson comic, which really adds depth to this character and marks the beginning of the rekindling of their relationship. 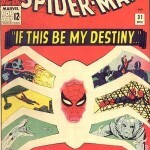 Peter proposes a second time in Amazing Spider-Man #290. This leads Mary Jane on a soul searching quest back to her family in Pittsburgh, which plays out as as sequel of sorts to Amazing Spider-Man #259 in Amazing Spider-Man #291 and Amazing Spider-Man #292 (where she finally accepts) . The issue immediately following the acceptance of the proposal (chronologically), the couple are married in Amazing Spider-Man Annual #21. Their honeymoon follows in Spectacular Spider-Man Annual #7. Take a look at this beautiful Mary Jane Watson Wedding Dress in the image below. Their marriage goes through many bumps and turns, with Mary Jane gaining much success in acting and modelling (along with the many deranged fan storylines). She even goes through a smoking period, which is chronicled throughout many issues. The next major issue focusing on her alone is during the Web of Death crossover, where she buries the hatchet with father in Spectacular Spider-Man #219, and then reveals to Peter that she is pregnant in Spectacular Spider-Man #220. 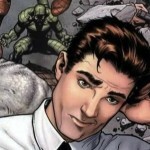 She has a “miscarriage” (more so an editorial “retcon”) in Amazing Spider-Man #419. While this timeline mostly features Mary Jane’s early appearance in the Spider-Man chronology, it really allows you to understand where she is coming from. 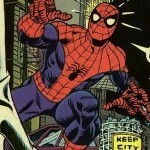 Find more essential issues and list such as this Mary Jane Watson comic book appearance list à using filters in the Spider-Man Reading Order List.